Only one-eighth Indian by blood, John Ross nonetheless was the Cherokee chief in the mid-19th century, and he would guide the tribe through its most turbulent period. 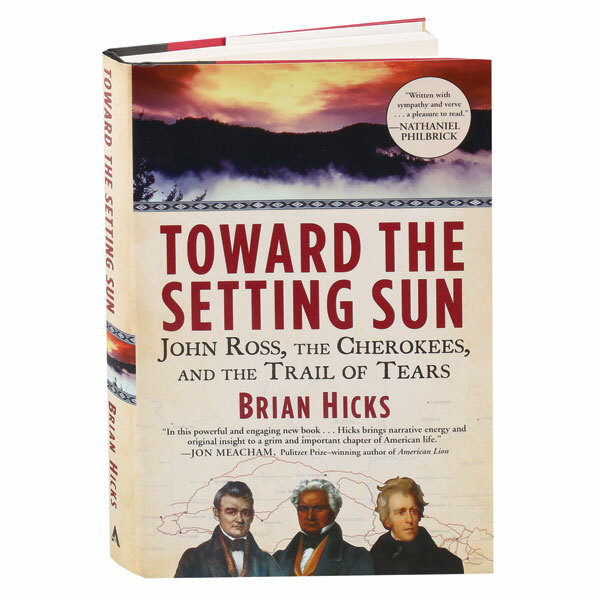 As Brian Hicks relates here, the Cherokees' plight was tied into nearly all of the key issues facing a young America: western expansion, states' rights, judicial power, and racial discrimination. Clashes between Ross and President Andrew Jackson raged from battlefields to the White House and Supreme Court, but only when a group of renegade Cherokees betrayed their chief and negotiated an agreement with Jackson's men was he forced to begin the journey west with his people. Here too is an account of the tragic Trail of Tears, a forced relocation that killed thousands of natives and signaled a new, darker phase of Manifest Destiny.